Have a Tasty Weekend! / Hey, EEP! 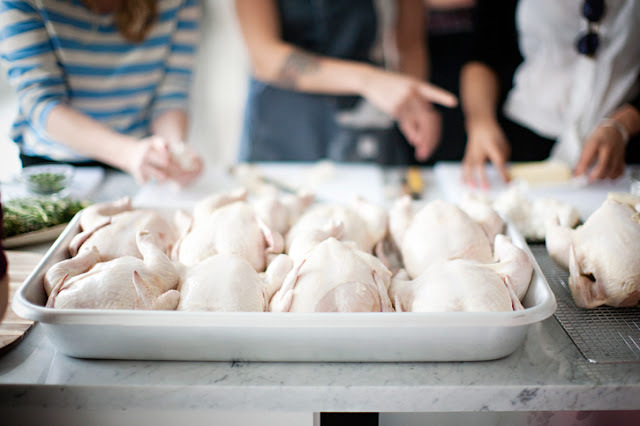 What a gorgeous photograph from Sunday Suppers, right!? Their style is so clean & simple. The recipes always end up being exactly what you’re in the mood for, too (or at least that’s how I feel when I stalk their blog for inspiration)! Any tasty plans for this weekend? I’m doodling around with some dessert ideas for a dinner soiree tomorrow evening, but I'm too doped up on sugar from today's photo shoot to think objectively. Job hazards—sheesh! Hit me up with your suggestions. Otherwise, have a restful week. Enjoy!